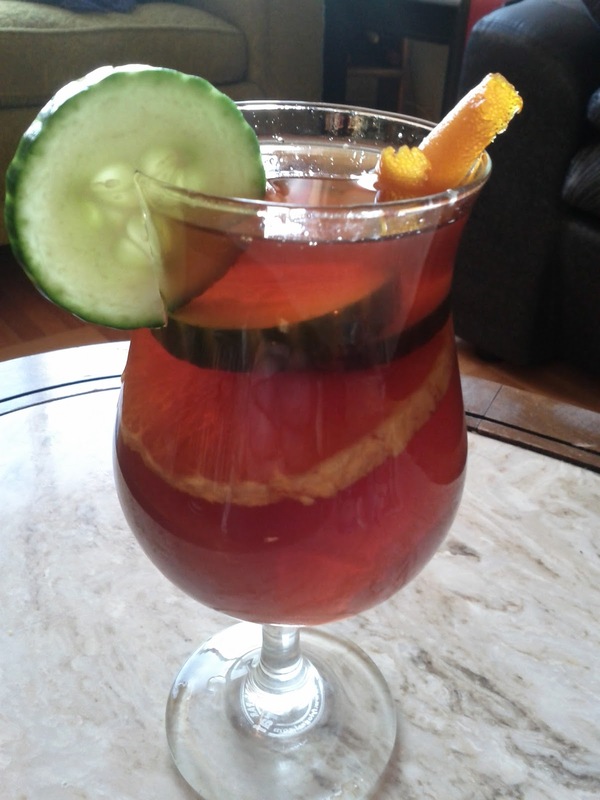 An extremely refreshing variation on my iced tea. Add a half sprig of muddled mint to the glass and fill most of the way up. Top with a couple slices of cucumber. 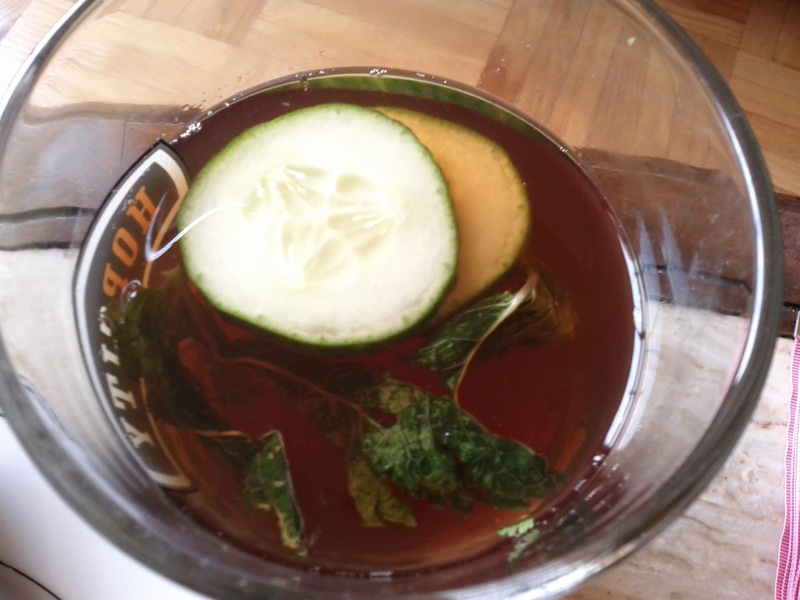 This will not only add a mild cucumber coolness to it, but keep the mint leaves out of your mouth as you drink. Mostly. You can fancy it up further if you want, but this is perfect as it is. In the spirit of experimentation, I fancied it up anyways. I added an ounce of Pimms no. 1, an orange slice, and a twist of candied orange peel as a garnish. I prefer the original, but this one made a prettier picture.